The HubSpot blog has changed a lot since its inception, but it’s always been about delivering useful content in a variety of formats that benefits digital audiences the world over. It’s a model of content marketing success, and one that we can all learn from. To help you with your own content strategy, we’ll break down what’s so good about their content strategy, and what you can learn from it. One look at HubSpot’s blog and you’ll see straight away that it spans a dizzyingly diverse variety of content. Listicles on Internet of Things examples rub shoulders with articles addressing common email mistakes, all interspersed with guides on marketing techniques and methods for individuals and businesses. And it’s not just articles either. 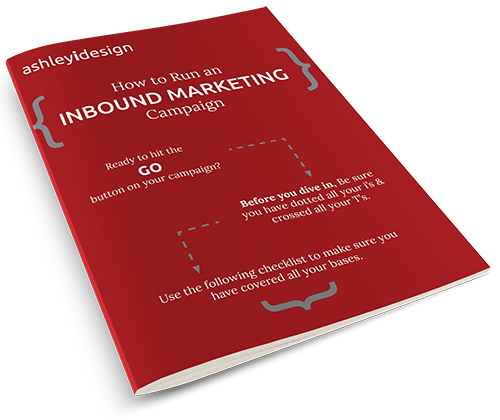 HubSpot also provide a fantastic range of ebooks, guides, templates, and free courses covering everything from advertising to website design. On top of that, their blog is divided into sections such as marketing, sales, and service, making it easy for readers to find the right piece of content for them. Just as a beautiful garden contains not one type of flower but many, a successful content strategy is one made up of a variety of types of content. Content trends for 2018 point to a mix of video, online courses, and interactive forms of content, to name but a few. Utilize a variety of content types to keep your strategy dynamic and diverse. Anyone working in the digital industry knows that search engines reward fresh and regular content with better page ranking. New content means more frequent indexing by search engine crawlers, which in turn means your site’s position is continually reassessed. However, regular creating new content can be tough, especially for small businesses who are strapped for time and resources. That’s why HubSpot constantly goes back to its old posts and updates them with fresh content. HubSpot’s audience is regularly treated to content that’s been updated for 2018, with the latest developments or news included to keep it fresh. In doing so, they not only improve their SEO by revamping stale content, but they also continue to provide value to their audience. Updating old, underperforming content is a great way to improve your site’s SEO. It’s cheap to do, quick to implement, and can provide genuine benefits to your readers. Go back to an old post that you feel would benefit from an update, considering what your audience would really find useful. Find a post that was particularly popular — maybe it still drives some traffic, or perhaps it was popular at first but gradually dropped off. Give it a revamp and share it across social media to maximize the benefits of your new-look content. Another recurring feature of HubSpot’s content strategy is that it both promises and genuinely delivers value to its audience. Where other businesses aspire to this but instead provide sub-par content, HubSpot truly gives their readers a whole host of useful and beneficial content. Its value isn’t just intrinsic within the content either: HubSpot clearly state what benefit the reader will receive. Article headers and email previews plainly identify what the post is about and what their audience will gain from it. Not only does this help the reader as they trawl the blog looking for content, but it’s also great for SEO too. Search engines can identify the inherent value of the article quickly and clearly, improving its rankings. The importance of delivering value in your content strategy shouldn’t be underestimated. Even if you’re curating content for your blog post, you need to ensure it genuinely provides value to the reader, rather than just being a jumble of ideas. And remember to clearly state what benefit it will deliver — simply providing the value isn’t enough, so always lead your audience to it yourself! One aspect of their content marketing strategy that HubSpot really nail is their lead generation. They offer a variety of freebies on their site, from online courses to email templates, all readily accessible in return for their reader’s email address. With such a great range of free and useful resources available, HubSpot can rapidly build their email list by offering something their readers want. What really sets their lead generation strategy apart from others is that they supply something that is genuinely useful. Social media calendars, recruitment tips, on-page SEO templates — these are all things that the typical HubSpot audience needs and can benefit from. With that in mind, think about what your audience could benefit from. Guides, how-to instructions, and lookbooks are just some examples of popular content that your customers would be happy to sign up for. And this method is a particularly effective means of growing a DIY webshop from scratch to. By offering a freebie that appeals to your audience, you can quickly build your email lists with qualified leads. HubSpot is a shining example of a content strategy done right. Learn from the best and create a diverse array of content that delivers genuine value to your readers. Get it right, and you’ll hit HubSpot levels of traffic in no time! Kayleigh Alexandra is a content writer for Micro Startups. Here at Micro Startups, we’re committed to using growth hacking for charitable giving. For all the latest on charity, business, and startups, come and find us on Twitter @getmicrostarted.